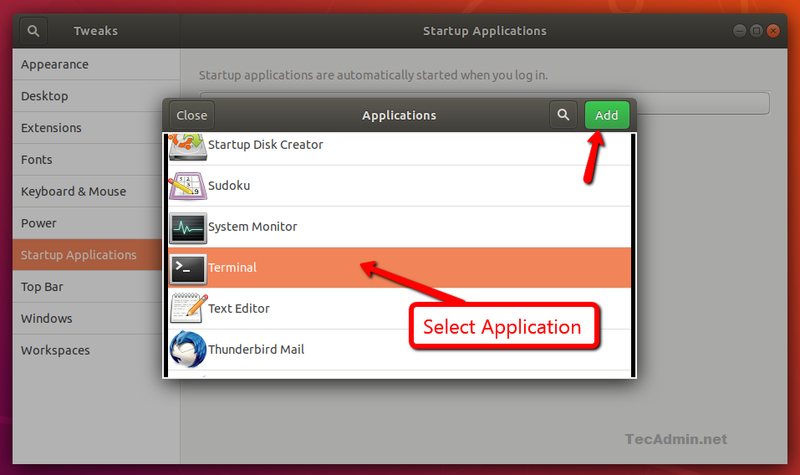 GNOME is a GNU project, is the default desktop environment is used by the Ubuntu desktop editions. The GNOME desktop have a large number of customization to make the best desktop experience for you. 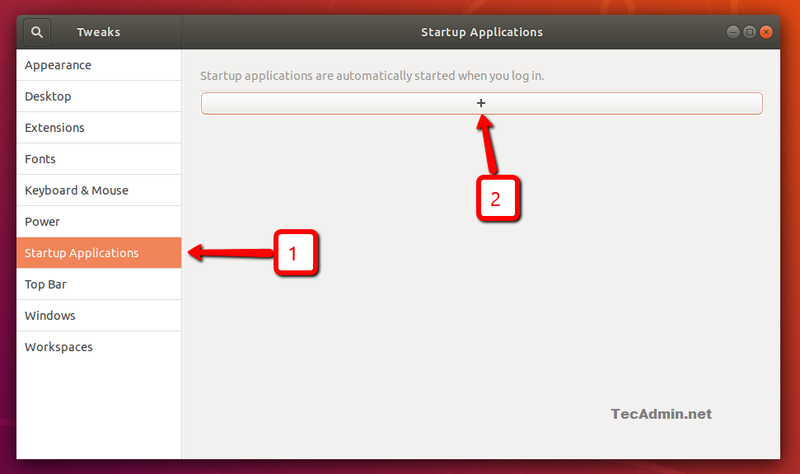 This tutorial helps you to add or remove the application in the startup of Ubuntu system. 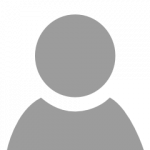 Any application added under startup application will automatically launch on user login. This is helpful and can be used with frequently used application to launch automatically. 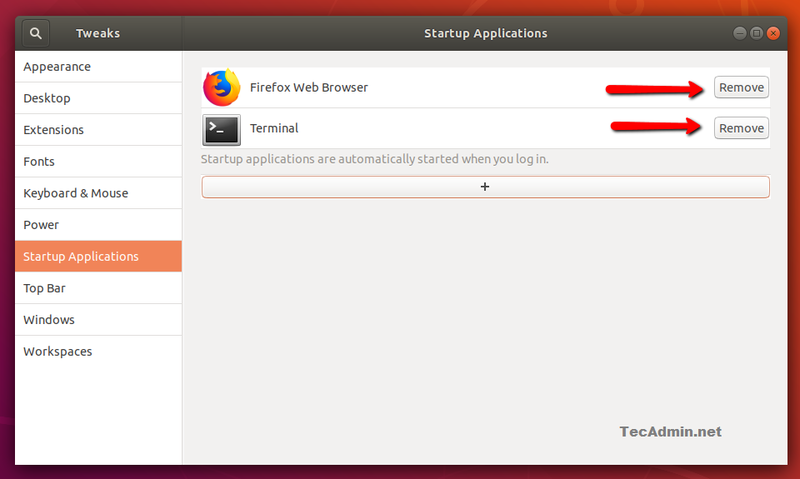 For example, a web browser or terminal window. Search for the GNOME Tweaks under applications in search and Launch. 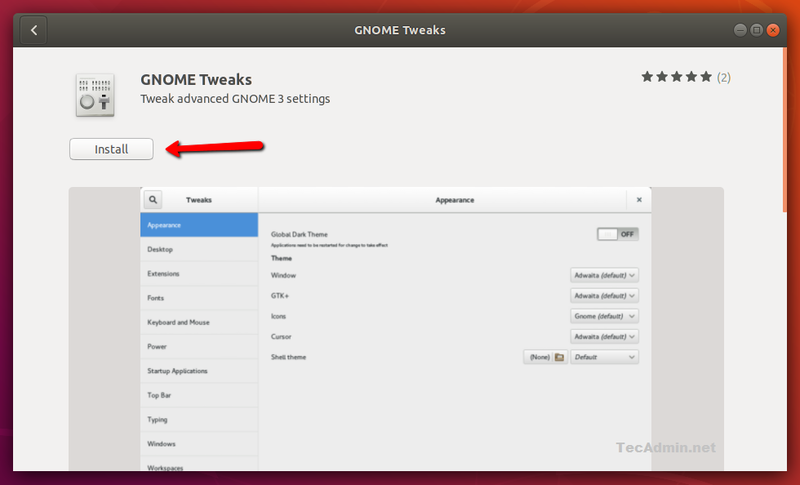 You might not have installed the Tweaks tool on your system then it will show you an option to install. 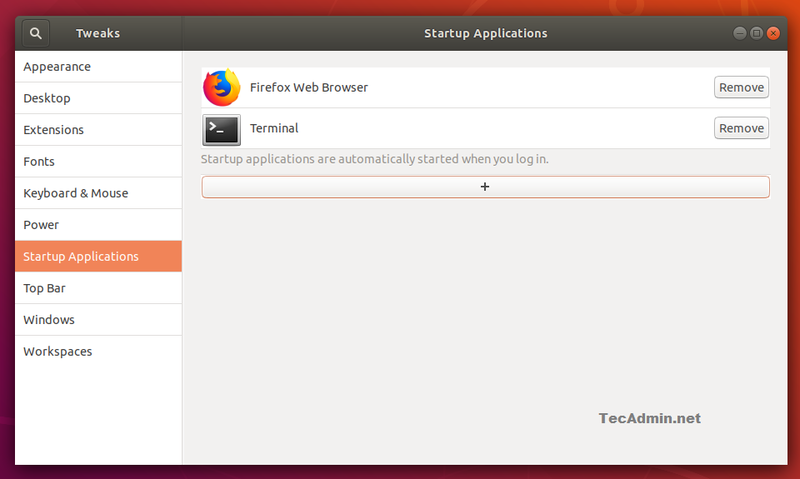 You can easily install it with GNOME installer options. A dialog box will appear on the screen. Select your application to be added in the startup. Now click Add button on top-right corner of the dialog box. You will see a list of added application for the auto start on user login. If you don’t need any application to start on login. You can remove it from the list by clicking the Remove button showing with application list. Thank you. Why isn’t Tweaks just initially installed? Likewise, while offering a inside the game requires your wit instead of heading straight cards.